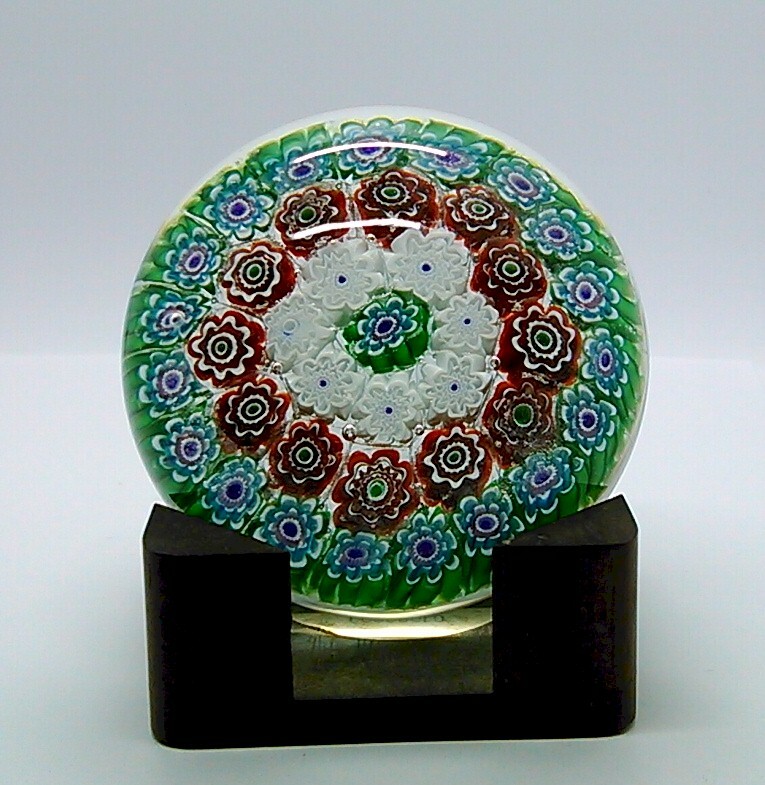 SOLD Size is 3 inches across and 2 inches high. 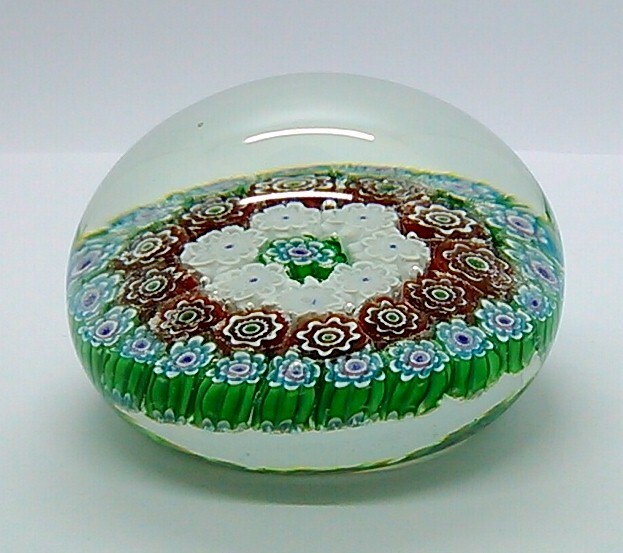 I really nice older Murano Paperweight. 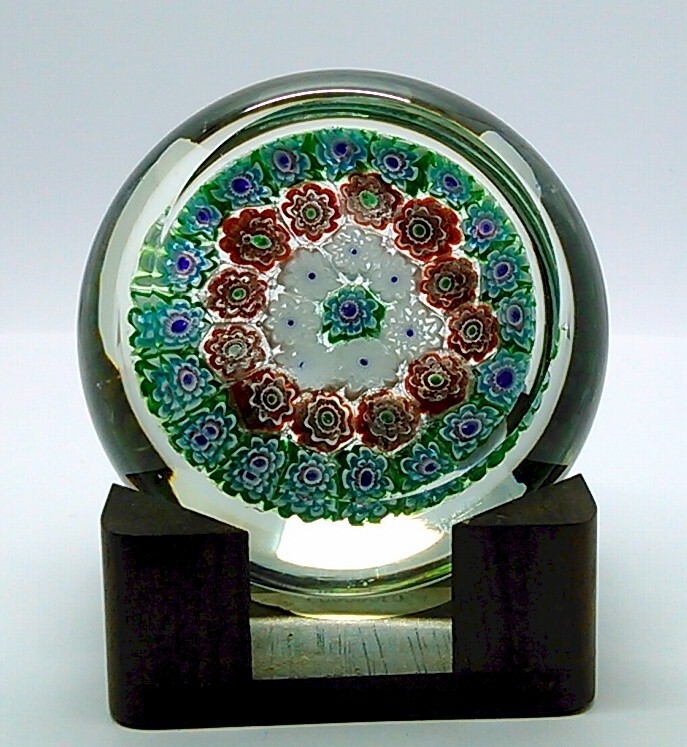 There is no sticker on this but I am positive it is a murano piece. I have had it for many years but my guess is it might have been made in the 1970's. 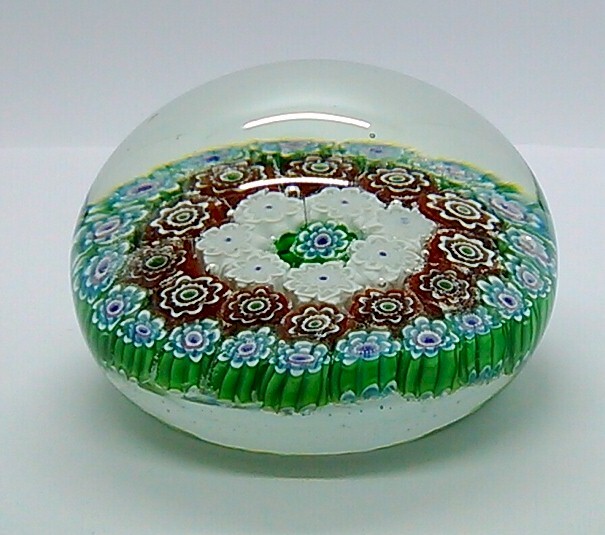 It is in really good shape with no bumps, bruises, cracks or chips. If you are looking at it closely you will see a very tiny bubble near the top of the dome. This is in the glass. It was made that way.